High school and middle school science teachers introduce students to the study of the structure and operation of the natural world through observation and experiment. Piece of cake, right? Not exactly. Great science teachers are naturally curious individuals who have a passionate interest in how the world works. They like to ask questions and puzzle over natural processes. They are interested in what makes things tick and how they came to be. The most powerful science teachers, though, are those who connect with students in ways that excite and inspire. This is the human part—which is often overlooked in the learning process. While preparing you with the knowledge and skills you’ll need to become a science teacher, we also take care to help you understand effective strategies for connecting with students in ways that allow them to dive deeper into complex ideas, be nimble and flexible, and understand science in a variety of compelling ways. In the UW-Madison Master of Science in Curriculum & Instruction: Secondary Education program, we’ll examine this closely in an environment where research, collaboration, presentation, and reflection are emphasized. We believe in a teacher’s ability to expand science education beyond the four walls of the classroom into every facet of the students’ lives. If you have questions about the field of secondary science education or about the science preparation within the program, please feel free to reach out to the SED Science Coordinator, Professor John Rudolph at john.rudolph@wisc.edu. If you do not have one of these degrees, and believe you have a special case for consideration, including significant professional experience, or comparable university courses, you may send an email to Professor John Rudolph explaining your situation. For content competencies required for each of the certification areas offered in science, please see the information below under Certification Areas. Wisconsin teaching certifications are available in the subject areas listed below. Each certification enables a teacher to teach secondary-level courses (grades 6-12) in that particular domain. More specific details can be found on the Wisconsin Department of Public Instruction Licensure Program Content Guidelines website. Certifications can also be added after completing the master’s program through additional coursework or exams for those interested. For the broad field certification, candidates may also choose the “General Science Exam # 5435.” This test is offered through Educational Testing Service (ETS). A passing score is 154. Individuals with the equivalent of a minor in biology (approximately 22-24 credits or relevant experience) can be certified in this area. Individuals with the equivalent of a minor in chemistry (approximately 22-24 credits or relevant experience) can be certified in this area. Individuals with the equivalent of a minor in physics (approximately 22-24 credits or relevant experience) can be certified in this area. 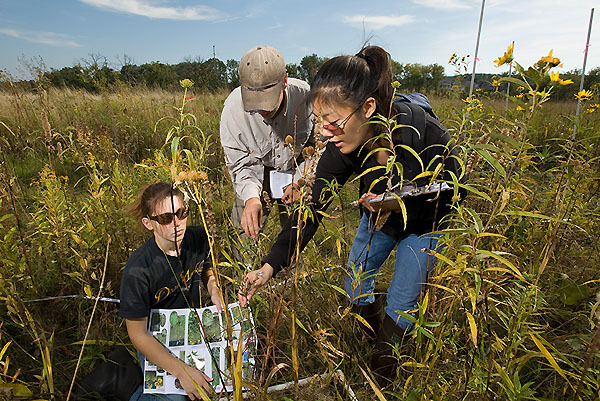 Individuals with the equivalent of a minor in environmental science (approximately 22-24 credits or relevant experience) can be certified in this area.